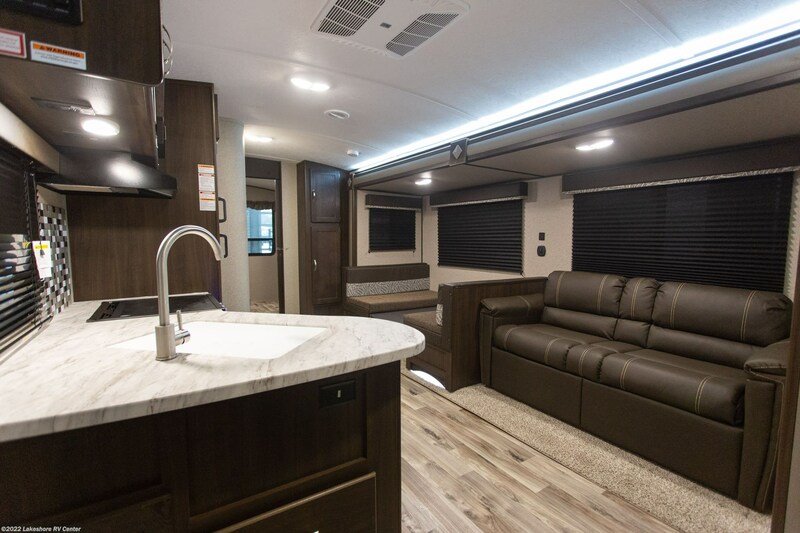 You'll experience all the family fun you could ever imagine in this 2019 Keystone Springdale 303BH! 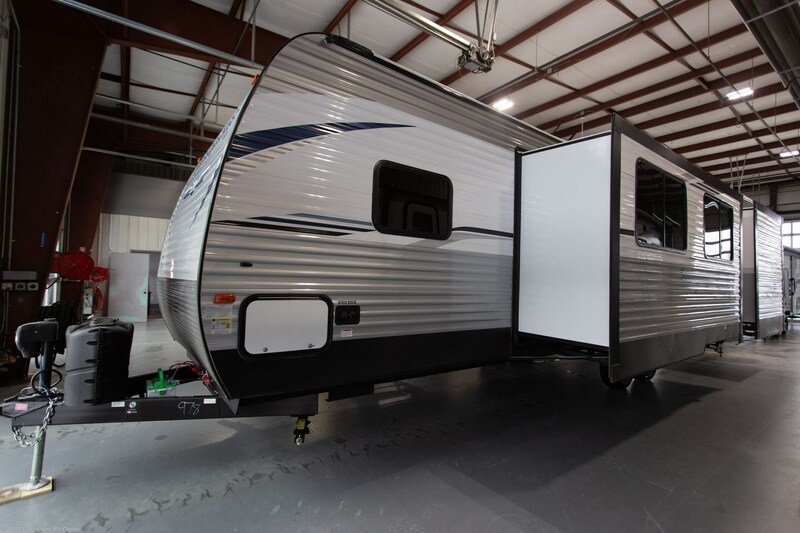 Lakeshore RV Center wants to ensure that our customers enjoy their RV adventures and there's no better way than in a 2019 Travel Trailer from Keystone! 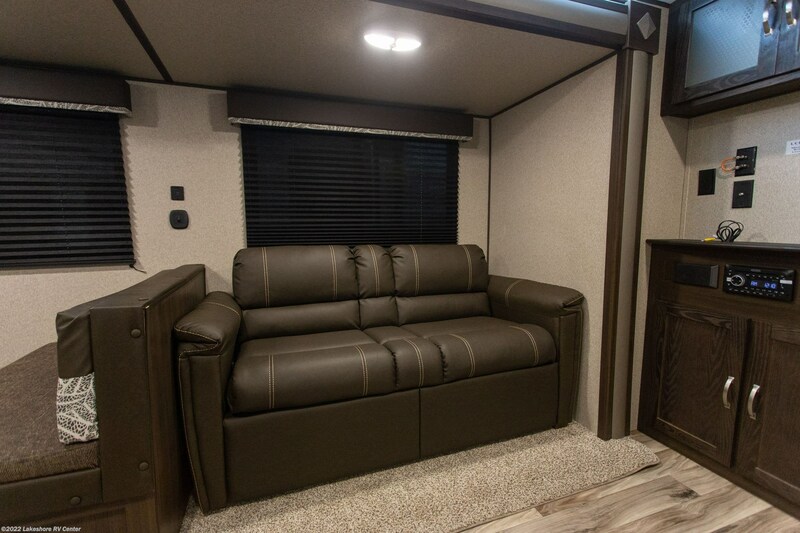 From first look to final purchase, we want to ensure your ultimate satisfaction. That includes great service after the sale, too! 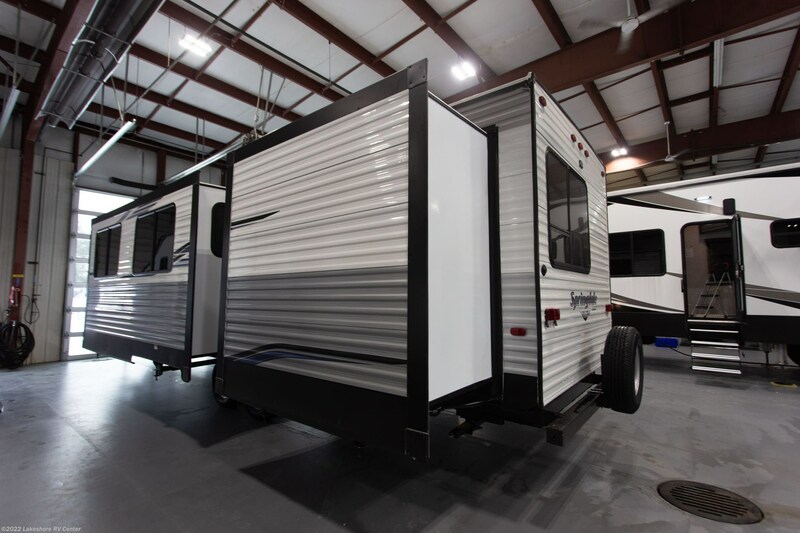 Here at Lakeshore RV Center, we guarantee you the lowest prices and the best deals! 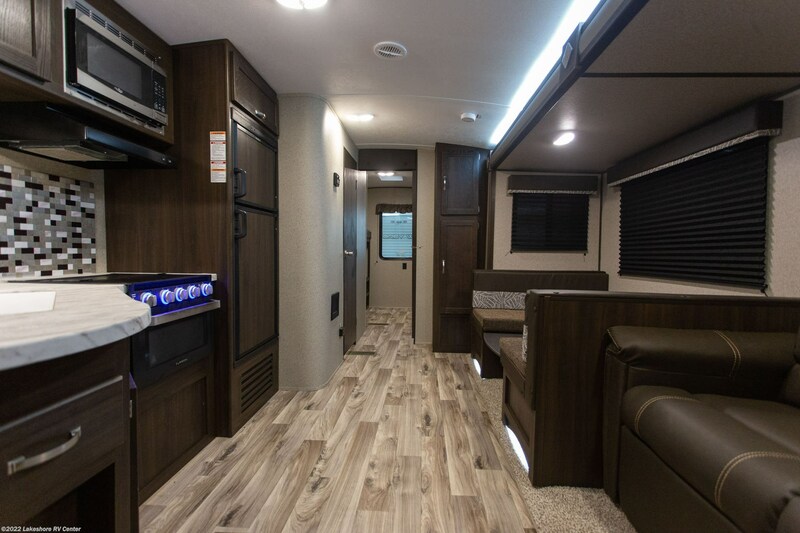 So stop into Michigan's #1 RV dealer and drive out with your dream Springdale today! Whether you live in Michigan or are just visiting, come on in! 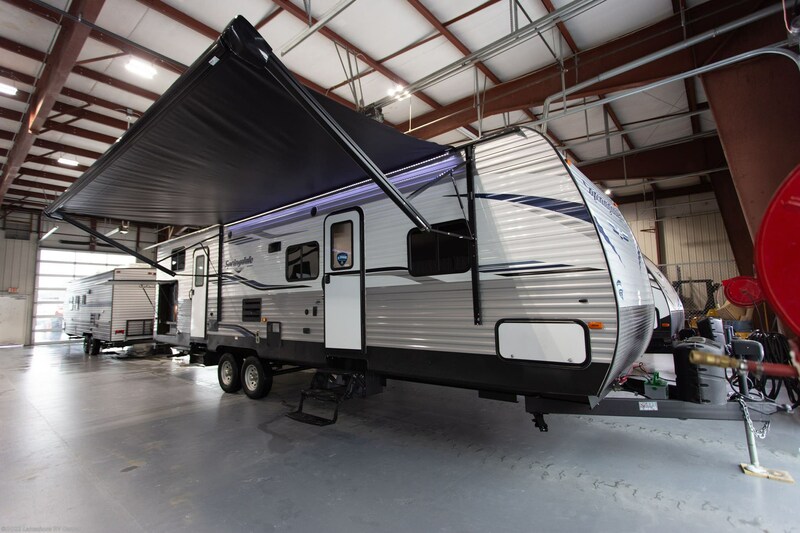 We're located at 4500 E Apple Ave Muskegon Michigan 49442 and we'll gladly help make your RV dream come true! 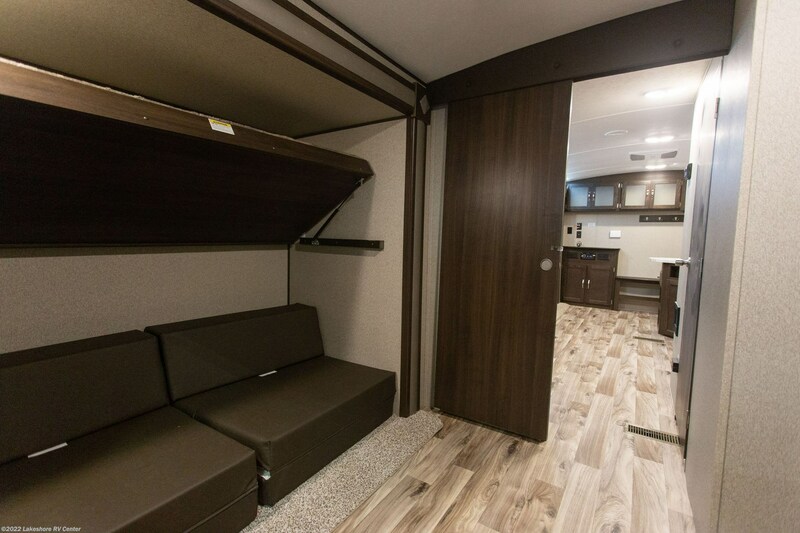 Enjoy comfort on your RV adventures in this Travel Trailer from Keystone. 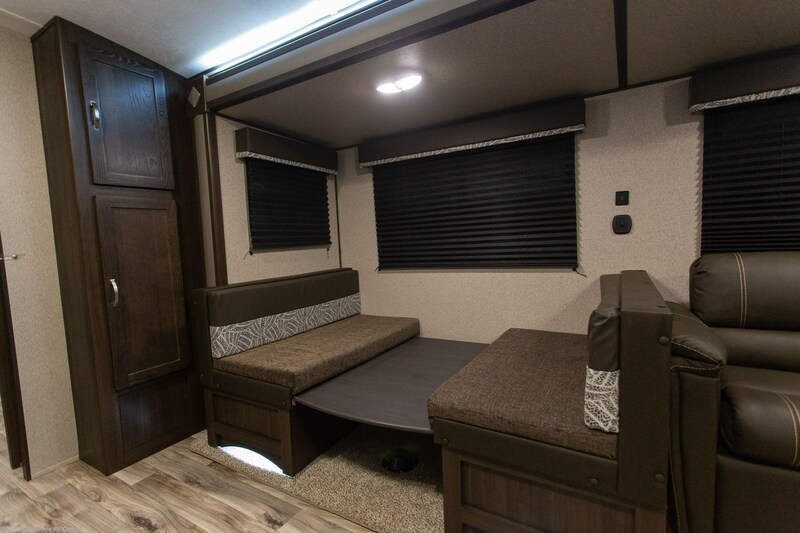 There's plenty of headroom with a height of 11' 4", and there's room to spread out with a width of 8' 0"! 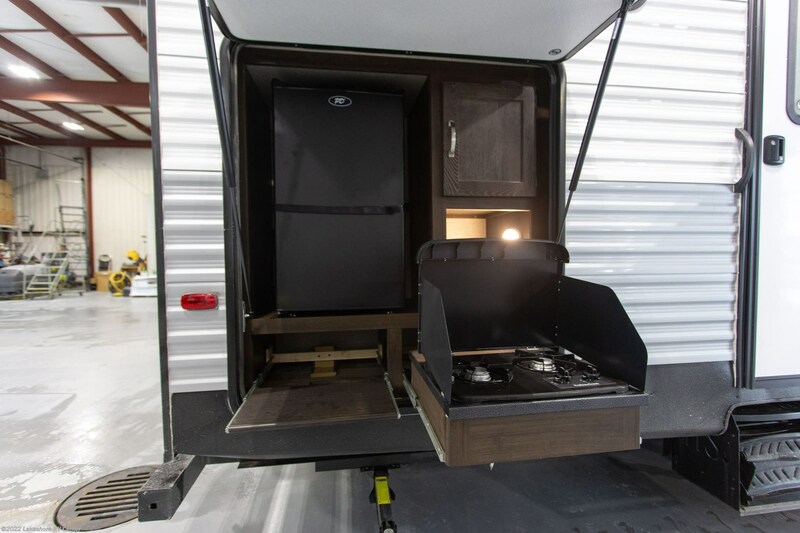 The 2 slides open up this Travel Trailer to maximize your living space! 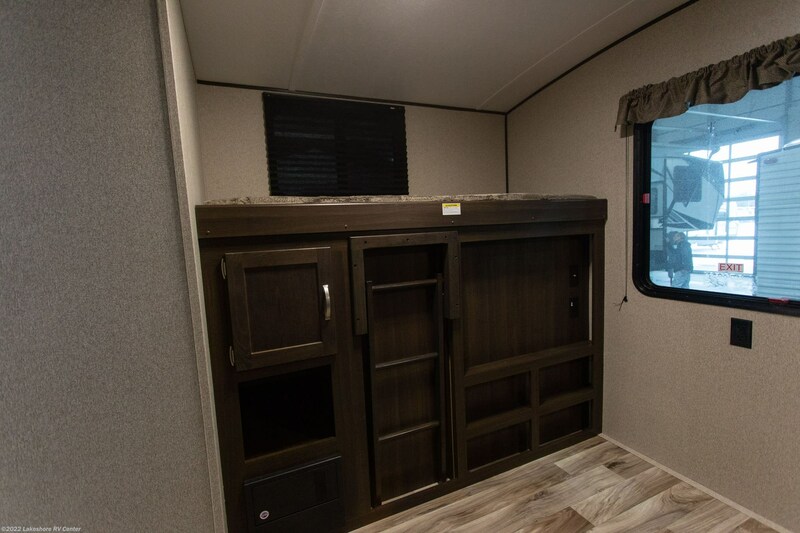 You'll stay cool inside even on the hottest days, thanks to your 13500 BTU a/c unit, and the coldest nights won't bother you because your 30000 BTU furnace will keep your family toasty warm! 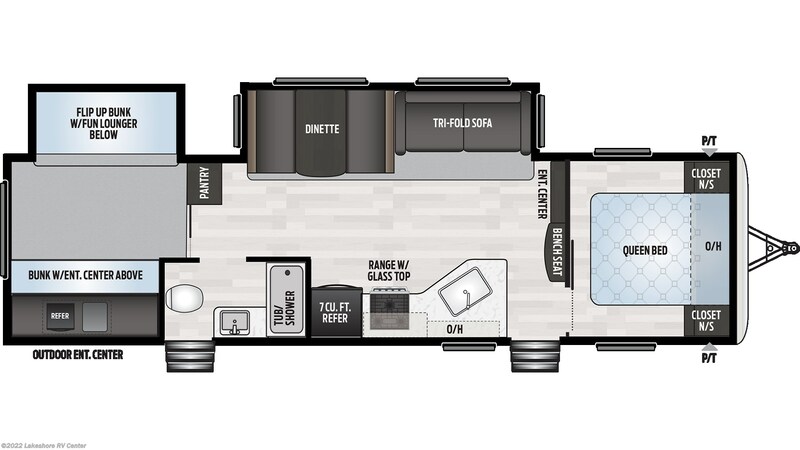 You and your family won't miss any sleep over the weekend with this RV, which sleeps up to 9 people! 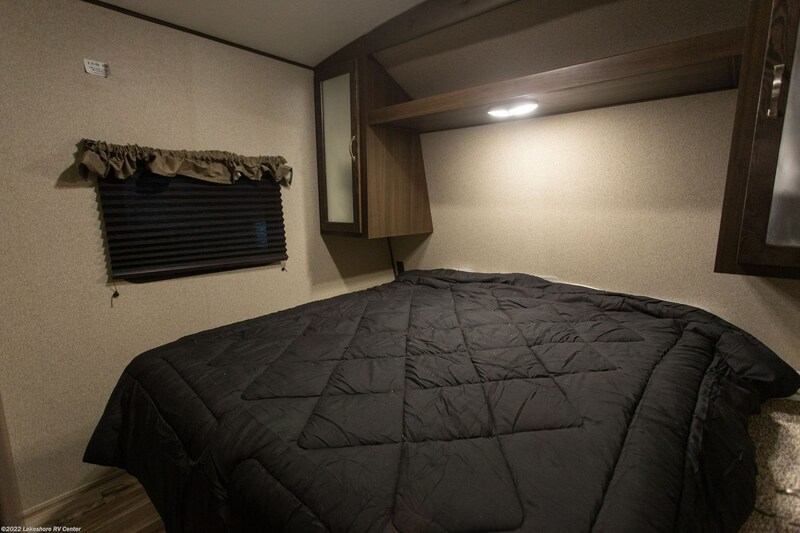 You and your loved one will get an extra good night's rest on the Queen bed! You won't have to resort to fast food when you're on your trip! 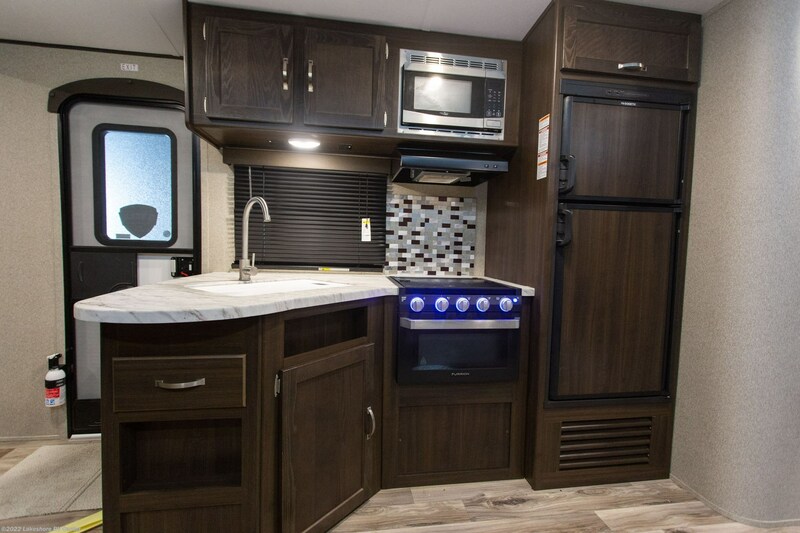 This RV comes with a fully equipped kitchen! Fill up the 7.00 cu. ft. refrigerator with plenty of food for the entire trip. 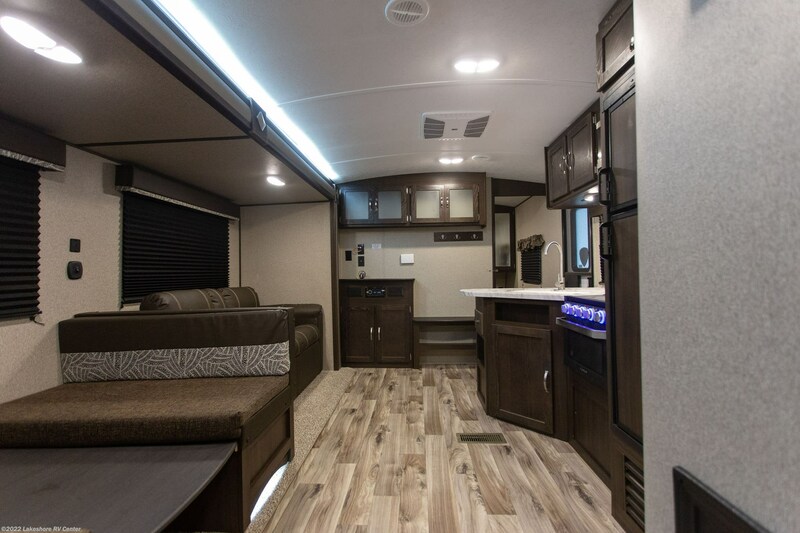 The 3 burner cooktop helps you cook up a meal for the whole family! Don't worry about the kitchen running out of clean water, with the 52 gallon freshwater tank! 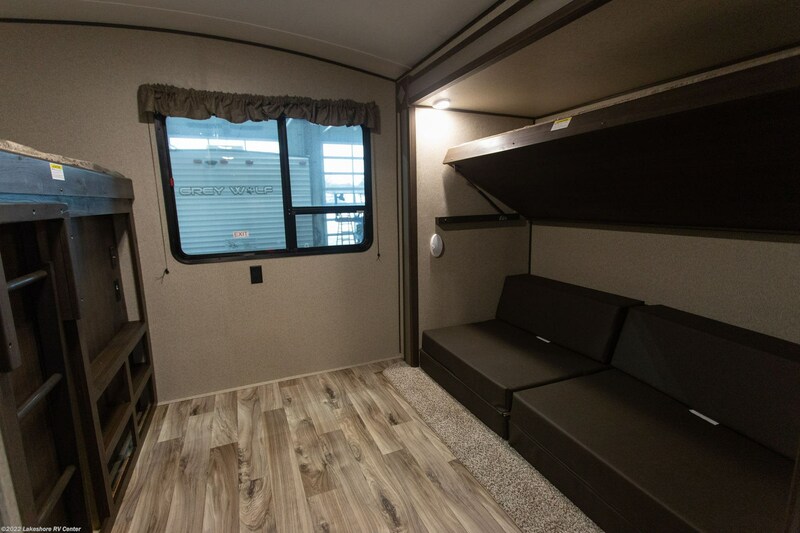 When you wake up with the sudden urge to go, you probably don't want to walk in the dark to the faraway campground bath facility! 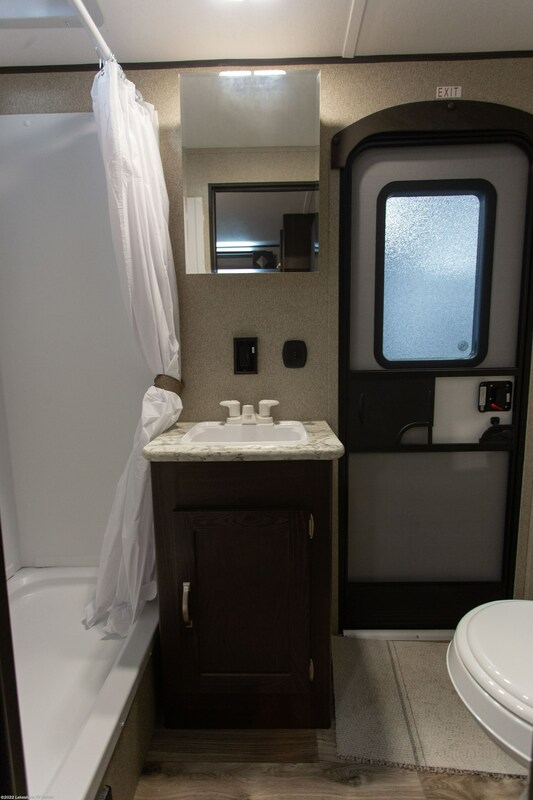 Instead, you can enjoy the convenience and comfort of your own bathroom in this RV! There are 60 lbs. of LP tank capacity providing heat, so your showers can stay as hot as you want them! You'll also be able to use the sanitary Foot Flush toilet without dirtying up your hands! You don't have to deal with used water and waste while you're having fun on vacation, thanks to the 39 gallon gray water tank and the 39 gallon black water tank!andnbsp;Your kids should sleep as comfortably and peacefully as you will, so give them a good night's rest in the bunkhouse!andnbsp;For whatever reason, food just tastes better outside! 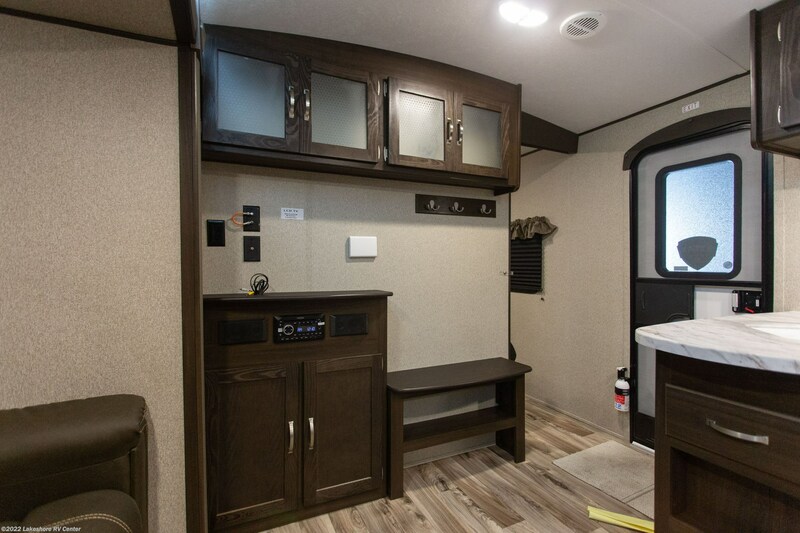 You can whip up snacks, drinks, and freshly cooked meals under the sun with the outdoor kitchen! 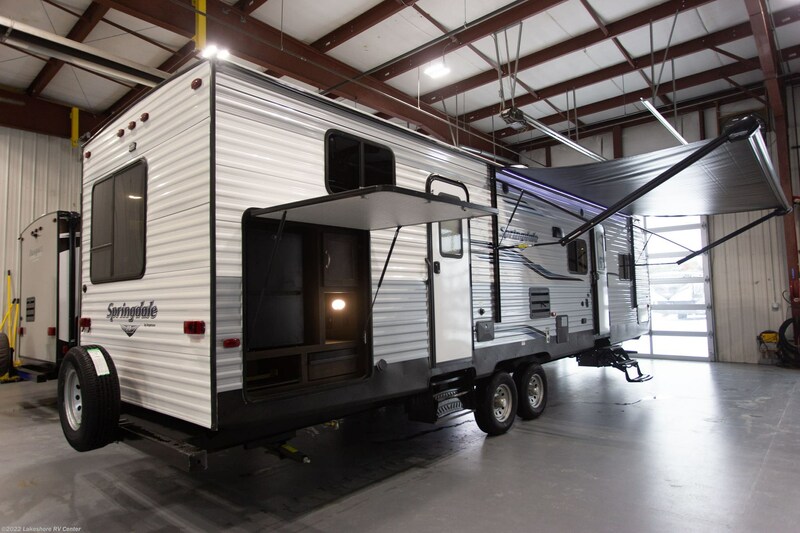 Check out Stock # 27874 - 2019 Keystone Springdale 303BH on keystonervsource.com!